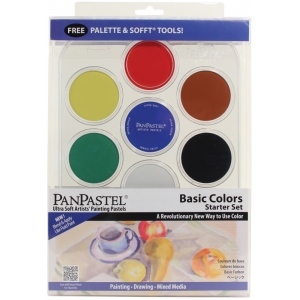 Professional grade extremely fine lightfast pastel color in a cake form which is applied to almost any surface. * Dry colors are essentially dustless go on smooth as if like fluid are easily blended for an infinite range of colors and effects and are erasable. * Apply large blocks of color quickly and build up multiple layers without overfilling the paper’s tooth. * Create intense or delicate marks by varying pressure with Sofft Tools. * Combines well with other art and craft media. 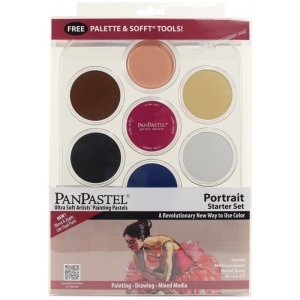 * Pans thread together for stacking or can be placed in the palette trays for easy storage and organization. * Each pan contains 9ml (0.30 fl.oz.) of color 40% more than the average pastel stick. 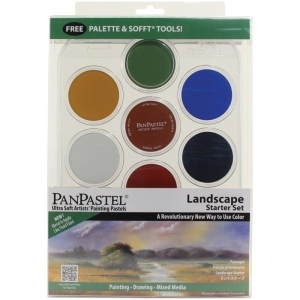 * Includes palette and Sofft tools.